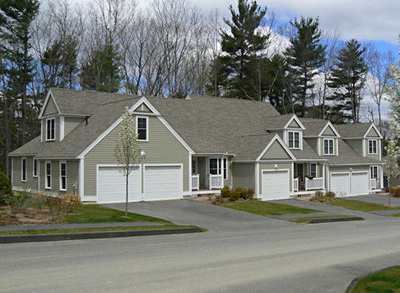 This forty unit condominium development is sited on a hillside in Holden, MA. 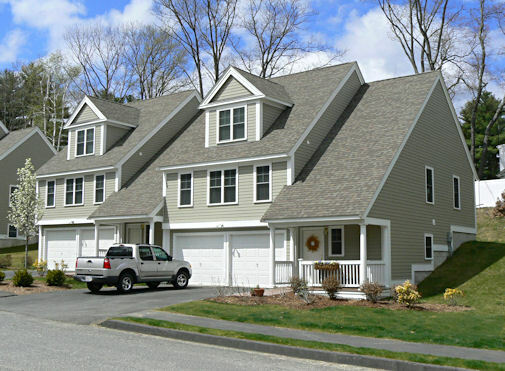 The six different Unit Types step up the hill and provide an attractive mix of facades. The Units feature Master Bedrooms on the First Floor, open Floor Plans, and Loft overlooks. This is a very successful design, and variations have been repeated by Daniel Lewis and the same development team at several other locations in Central Massachusetts.